Being a busy mum with very limited - extremely rare should I say - ‘me’ time I often have very little or no time at all to spare on my looks. Gone are the days when I would always have my hair styled to perfection and my face fully made up beautifully before I left the house. Hours dedicated to pampering and getting ready before special occasions and mad nights out are a distant memory. Now I rock a messy mum hairstyle on a daily basis and my makeup bag is severely neglected with my makeup routine being non-existent. On a typical busy day with no time at all to think of making sure I look presentable before we dash out of the house for the school run - heck getting the kids fed and dressed is a priority - a splash of water on my face and lip balm on my lips is job done. As I have vowed to make more time for me (organisation is key here) and invest in making myself look and feel good I have been finding ways to get ready quicker and products to help me preen myself on busy, early mornings. Whilst I want to make more of an effort with how I look I do not need to go full out on a makeup-tastic face that has been primed, contoured, glossed and adorned with eyeshadow and lipstick to within an inch of its life - I just don’t have the time to go to those beautifying extremes. Keeping my makeup routine and style simple is the key. Mastering a simple yet beautiful makeup routine will mean I can get ready quickly without having to skip wearing makeup. So far I have been able to implement my simple makeup routine into my morning. It is refreshing to be able to pamper and give myself a little love, and I love having a dash of colour on my eyelids, a flick of mascara and a slick of gloss on my lips. 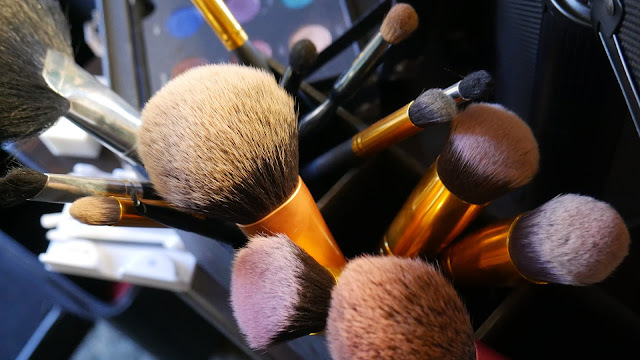 It may seem obvious but being prepared and having all the products I need for my hair and makeup routine in one place means I have the time to get ready and do not have to panic where anything is which wastes time and causes stress. My makeup bag is kept tidy and clean and left on my dresser next to my makeup mirror, with any products I take out to use when out and about returned of an evening ready for the morning. Hair care products are also stored on my dresser ready to use. I have bought a tangle teezer to help tame my wild hair, with it being amazing to quickly detangle my hair before styling. I have also found using quickdry gloves a lifesaver as they gently dry my hair quickly. When not styling my hair in a basic plait or making the most of my natural curls, I have also been straightening my hair regularly with my Lee Stafford Straightener. 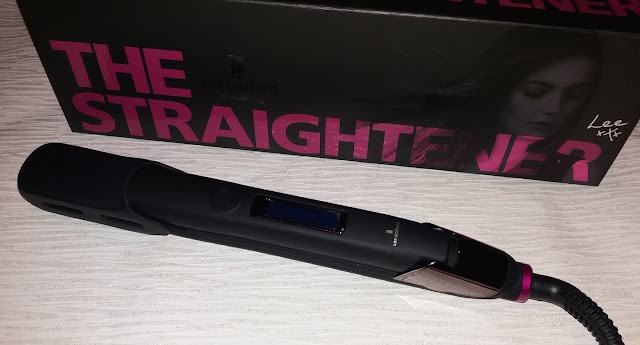 Using these sleek straighteners which boasts ionic function technology my hair is smooth and frizz free. Inspired by my past pampering ways I have once again started getting my eyelashes tinted. Having tinted eyelashes means that if I don’t have time to do my full makeup routine my eyelashes still look lovely and alluring. With tinted eyelashes, a moisturised face and glossed lips I achieve a refreshingly simple natural look that leaves me feeling happy and relaxed. On days where I make use of my makeup routine, mascara finishes off my look perfectly by enhancing my eyelashes. At the moment I am loving Benefit They’re Real! Mascara as it lifts and extends my lashes which being non-smudging and non-flaking. And for times when I want to go all out on my makeup routine for special occasions or rare nights out to paint the town red I opt for false eyelashes for a dramatic, glamorous look. I am making an effort to care for my skin better. I am drinking more water to make sure it is hydrated and I have a good skin care routine of exfoliating, cleaning and caring implemented. One product I love at the moment which is heaven to my skin is Weleda Skin Food. It is amazing for giving instant moisturisation and it is also brilliant as a super-hydrating mask treatment. On busy morning when getting ready I can also mix it with foundation for a moisturising foundation. Other products that I have found great for skin care and are great for quick makeup routines where time is limited and moisturising, priming, concealing, and applying foundation is too time consuming are 2 in 1 or 3 in 1 skin care products. Tinted moisturisers are great for moisturising and adding a hint of foundation. 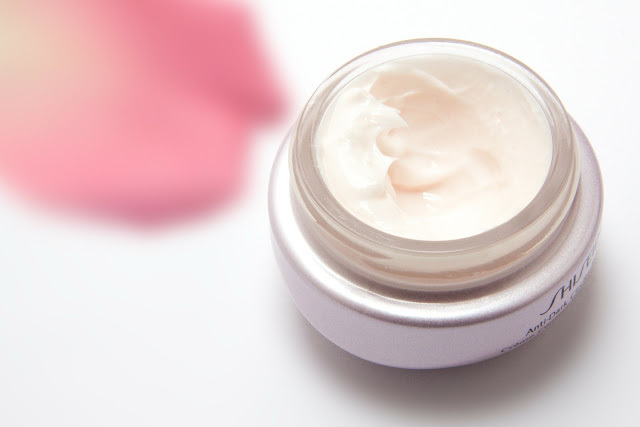 SPF creams are very moisturising so you can skip the moisturiser and use SPF lotion then foundation. 3 in 1 skin care products that work as a primer, concealer and foundation are great at giving a flawless finish that lasts in one go quickly. Like 3 in 1 foundations there are a huge range of other beauty products that are 2 in 1 / 3 in 1, or are products that are very versatile and can be used in many ways to achieve the look you want. Double pencils can be used for eyes and brows, lip stains can be used on cheeks as well as lips, and there are beauty products that work great on eyes, cheeks, and lips. A few of my favourite versatile makeup products include The Multiple by NARS, Benetint Lip & Cheek Stain by Benefit, Crayon Combo by Pixi, and Master Contour V Stick by Maybelline (fabulous for contouring and highlighting). What beauty products do you love to use for a quick and simple beauty routine?